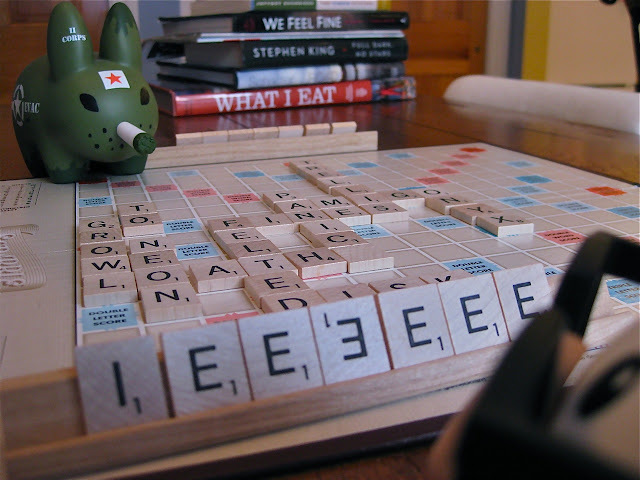 Captain Holly, the Corpsman Labbit, takes on Pipkin in a game of Scrabble. "Ieeeeee" indeed. Pipkin's in trouble with this hand.